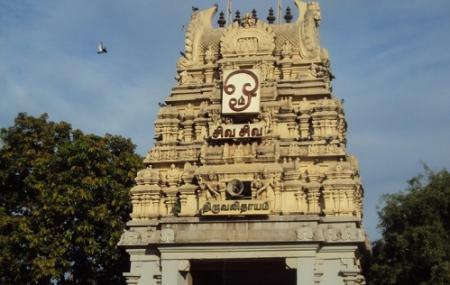 The Padi neighbourhood of Chennai and its temple of Tiruvalleeswarar is of high religious significance owing to the fact that the Tamil saints came here to sing songs. More so because one of the most influential Tamil poets, Thirungyana Sambandar was inspired in the premises of this temple, to compose songs. The temple is dedicated to Lord Shiva. Along with the main deity of Tiruvalleeswarar, you will also find an idol of the female deity Jagathambikai. Other stone sucpltures inside include the Sun God, Dakshinamoorthy, Mahavishnu and more religious and spiritual figures. How popular is Padi Sivan Temple? People normally also visit Kishkinta while planning their trip to Padi Sivan Temple. Great place to spend your weekend for a refreshing mind. Spend some time with the birds you will feel a lot more energized when you spend more time with animals, birds they are something that we cannot guess what is going on their mind. But try to avoid visiting this temple in crowded times as you wont even get parking space.